Cholesterol is a waxy substance that appears in the blood and tissues of animals. It is a steroid which is necessary for the proper functioning of the body, in such important functions as the formation of vitamin D and hormones. However, an excess of it implies a deterioration of health. 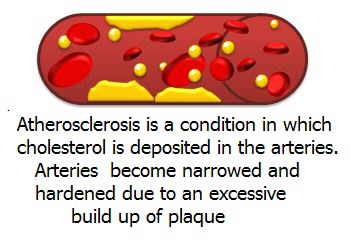 The accumulation of cholesterol in artery walls (Hypercholesterolemia) is one of the causes of atherosclerosis. High cholesterol levels pose an increased risk of any vascular disease, including arteriosclerosis, cerebral infarction or bleeding. Studies carried out at Children’s Hospital in Boston suggest that high levels of cholesterol could lead to the onset of prostate cancer. It has been established the inhabitants of rural areas of China and Japan possess lower cholesterol levels that those of the the Western World and how they raise their rates when they move to other Western societies and change their eating habits. These studies demonstrated the application of anticholesterol drugs in mice, suffering from prostate cancer, decreased the size and number of cancer cells and those mice that were fed with food rich in cholesterol developed more and larger tumors. We must bear in mind that there are two types of cholesterol: the so-called “bad” cholesterol that is associated with LDL, or low density lipoprotein and HDL, the “good” cholesterol, associated with high density lipoprotein. Lipoproteins are responsible for the transport of cholesterol through the bloodstream. It is a good factor that the amount of HDL is high because this indicates the ” bad” cholesterol is going to be dragged out of the body, but a high number of low-density lipoproteins (LDL) is a sign that cholesterol will circulate in the blood and eventually will deposit in the arteries, blocking and hardening them. Medically, it is considered that our blood should have levels of cholesterol below 200 milligrams per deciliter to avoid the risk of vascular disease. Levels above 200 will indicate the person is at risk. Risk, in addition to the generally high levels of cholesterol, also depends on the specific levels of LDL and HDL (levels of HDL superior to 60 protect against vascular disease even if LDL levels are high. Levels of HDL under 40 may be considered dangerous). With regard to triglycerides, it is considered that the ideal levels will be those below 150. Levels measuring 200 or more will be dangerous. In addition to these factors other parameters must be taken into account to determine the level of risk such as age, tobacco consumption, body weight, family history, possible heart problems, etc. Therefore, it is best to consult with the specialist the situation in each patient and the appropriate treatment to follow. – Genetic Predisposition: There are certain people who seem to have a tendency to have high cholesterol levels. – Lack of exercise: Half an hour of exercise a day is considered very useful to avoid cholesterol. – Tobacco: It has been shown that smokers have higher levels of LDL cholesterol and, once they have quit smoking, their HDL cholesterol levels increased 10% and therefore had less risk for disease heart. In the presence of high cholesterol in the blood, the most prudent to do is to consult with the doctor the appropriate medical treatment. Very often, the adoption of a series of measures such as reducing body weight, dietary changes, the practice of physical exercise, etc. will be sufficient to reduce the high levels. In other occasions, especially when there is a genetic predisposition, some medication may be required. 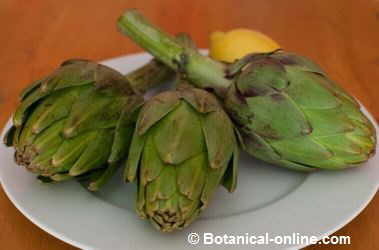 Below we show a number of suggestions which may help reduce high levels of cholesterol in blood. – Change your diet: A diet low in saturated fat and rich in unsaturated fats can help raise levels of “good” cholesterol and lower “bad” cholesterol. Fruits, cereals and vegetables contain fiber to help remove cholesterol from the body. – Reduce your weight: A weight reduction results in a loss of high cholesterol levels. The obesity is a way to raise cholesterol. – Practice some exercise: Exercise helps reduce fat in the the body so that it helps cholesterol not be deposited in the arteries. Exercise increases levels of HDL cholesterol and lowers LDL. – Reduce your stress: Stress increases cholesterol. Relaxation and changes in attitude towards the problems of life helps decrease it.